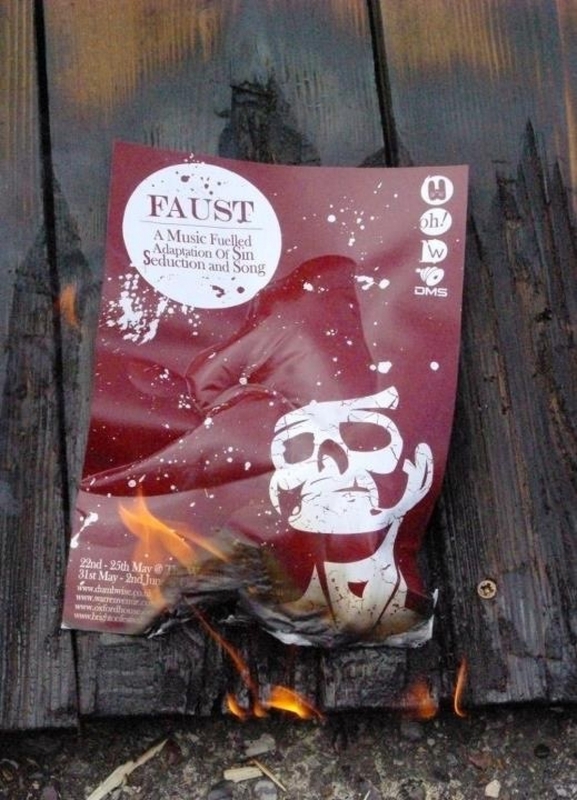 "'DumbWise’s full-blooded, sensuous spin on Faust has a rare power.'" 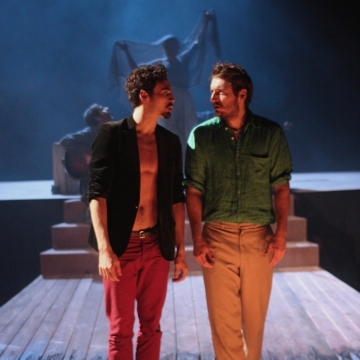 "'A visual and aural onslaught by a magnificently talented cast.'" 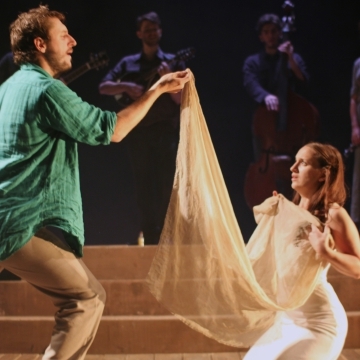 ""A seductive force I suspect few could resist""
FAUST is a new actor-musician adaptation of Goethe's epic tale of morality and the supernatural. 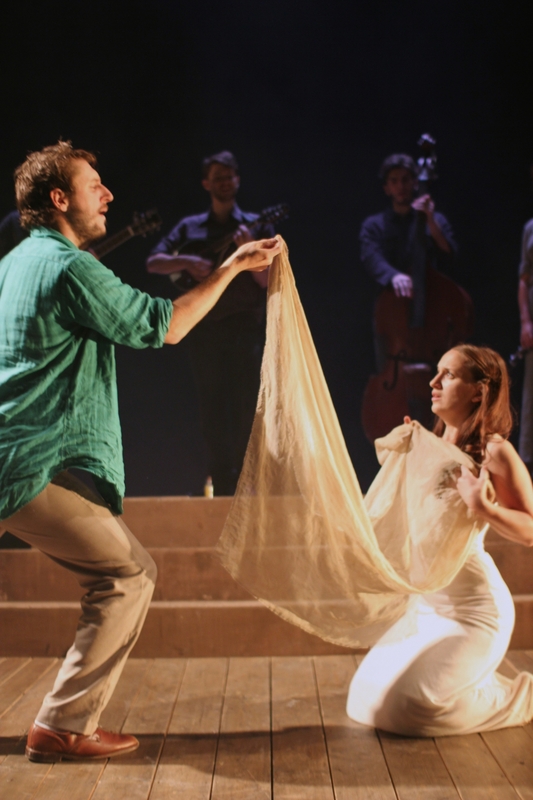 Adapted from John R Williams' lyrical and biting translation, DumbWise have restructured and revamped part one of Goethe's saga into an energetic and thrilling musical for modern audiences. 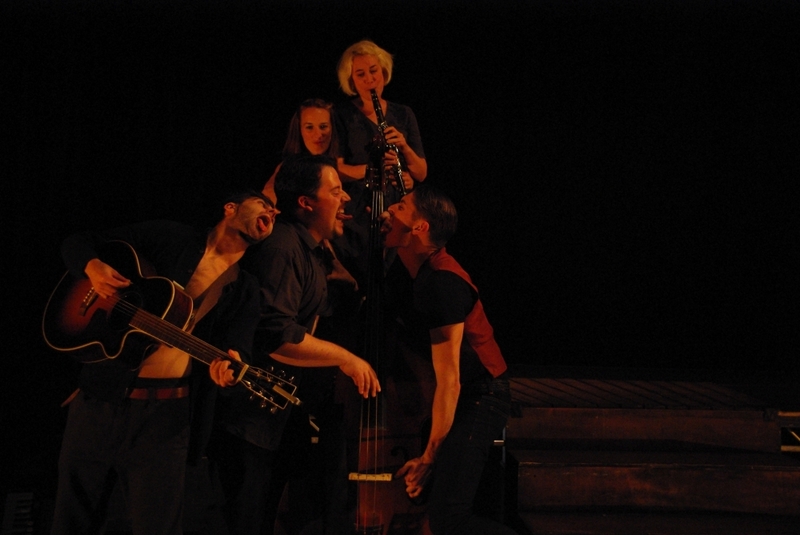 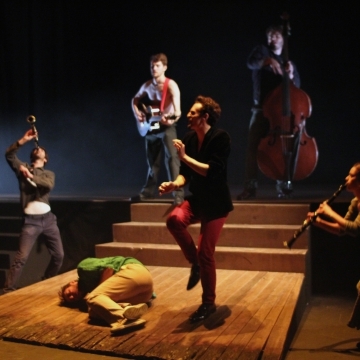 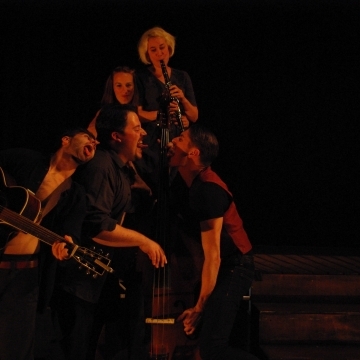 With DumbWise's signature combination of physical musicianship and dynamic storytelling, and a breathtaking soundtrack of original songs, FAUST is a stylish and truly unique theatre experience. 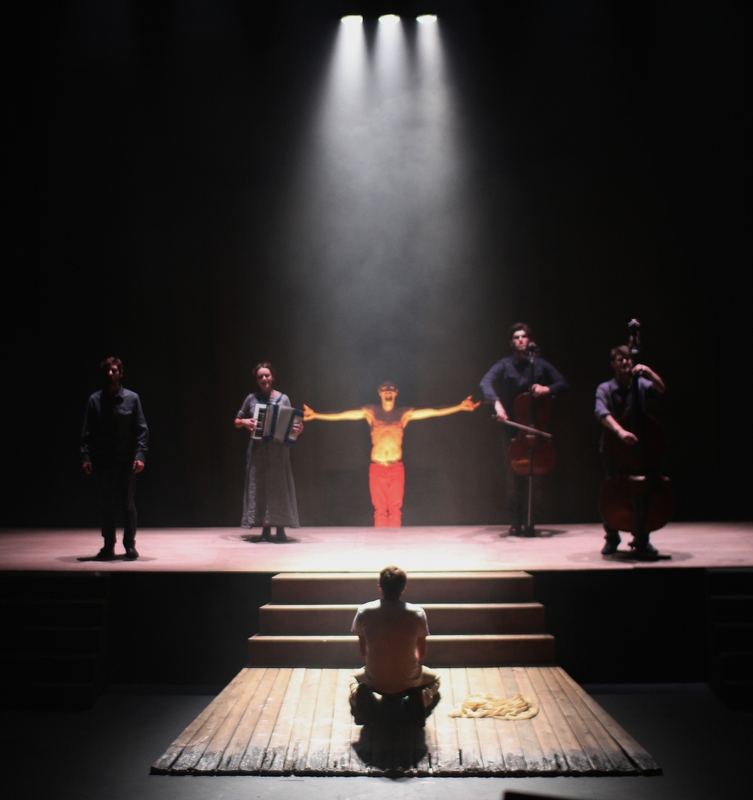 In a twisted re-telling of Goethe's classic tale, a young man sells his soul for fame and fortune, embarking on a musical spree of corruption and sin. 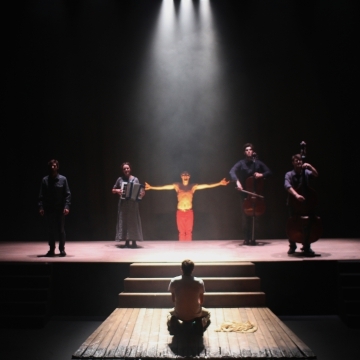 The emotive surge of classical verse collides with a gypsy caravan of dark folk ballad and blues, orchestrated live by an all-actor musician cast. 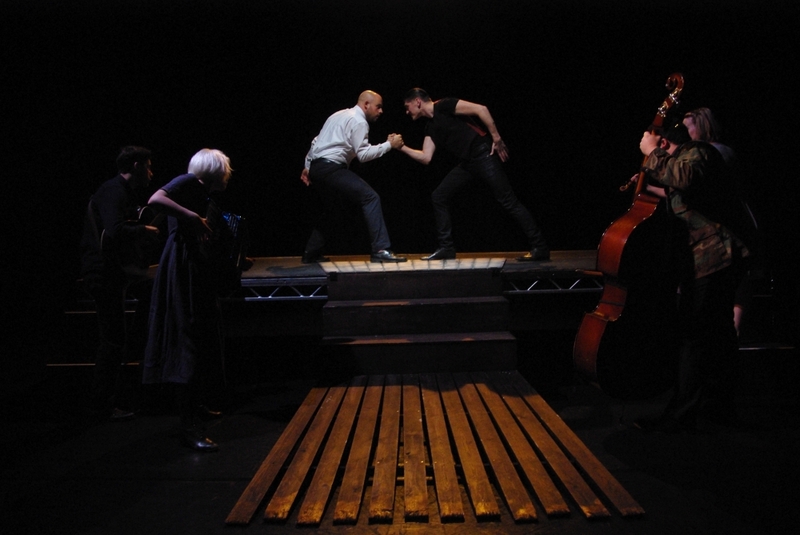 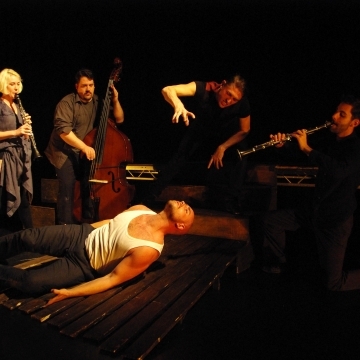 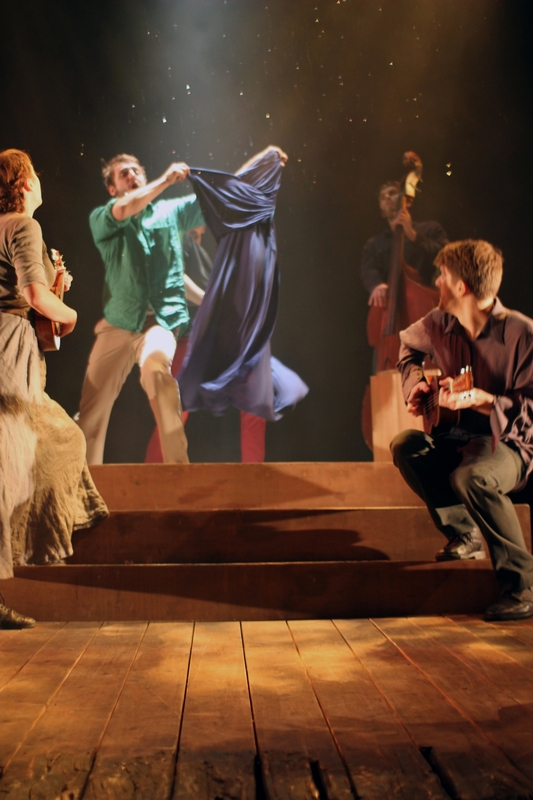 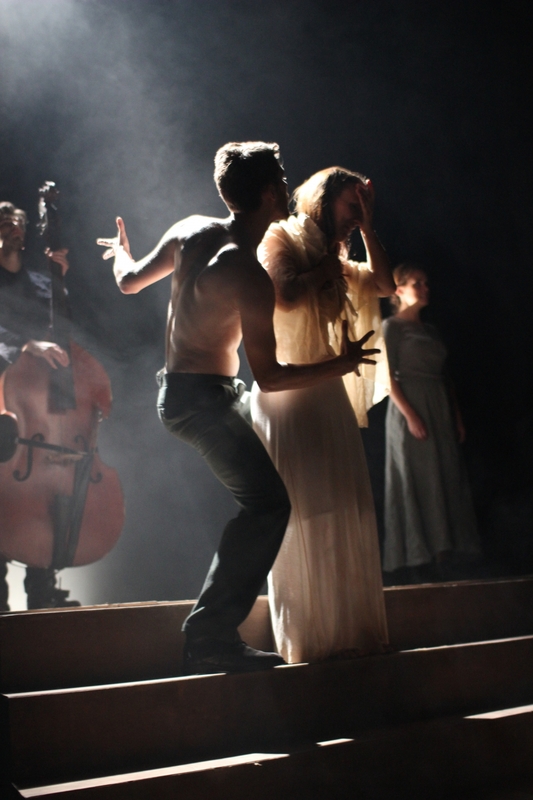 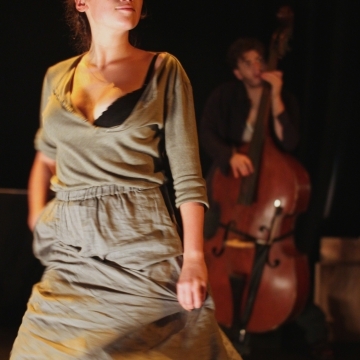 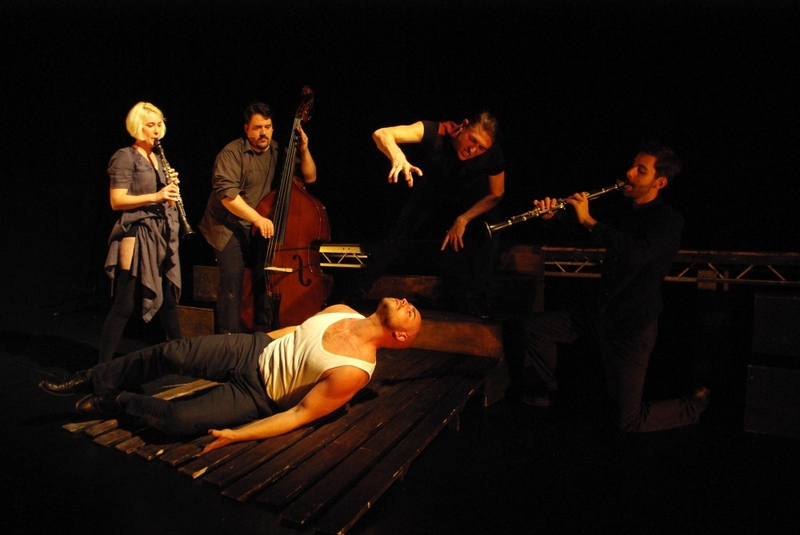 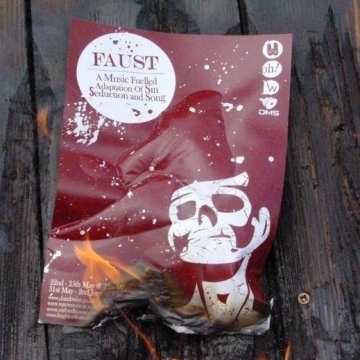 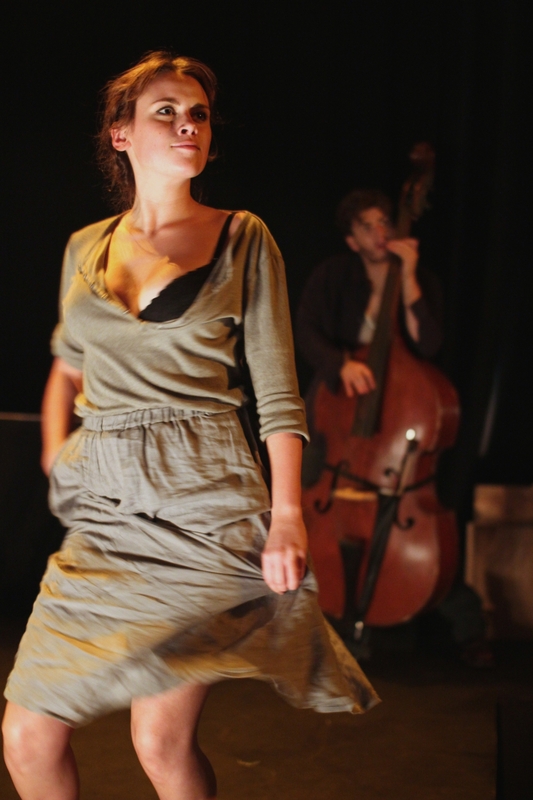 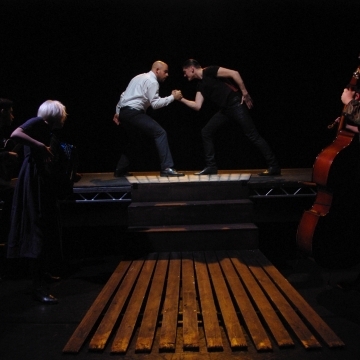 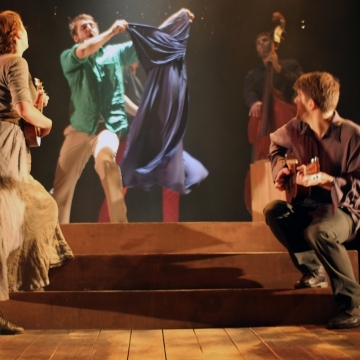 Faust premiered at Brighton Fringe in May 2012, scooping the coveted Argus Angel award for artistic excellence and a string of 5 star reviews. 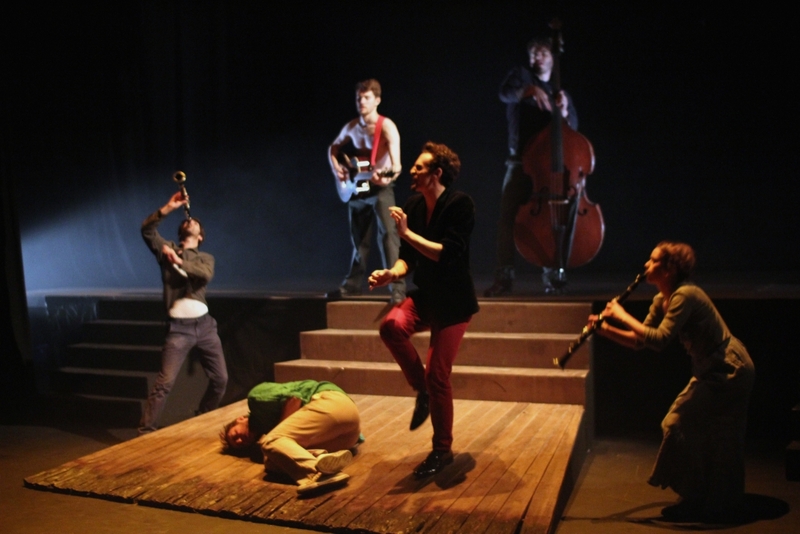 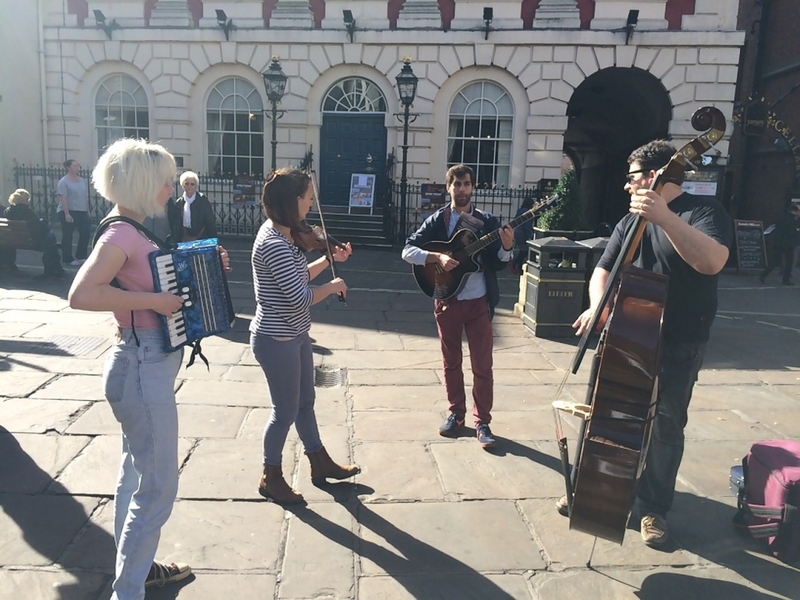 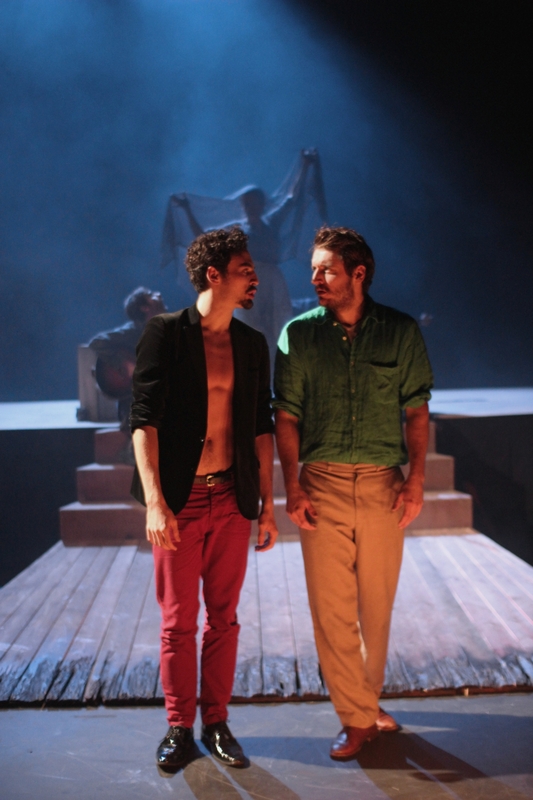 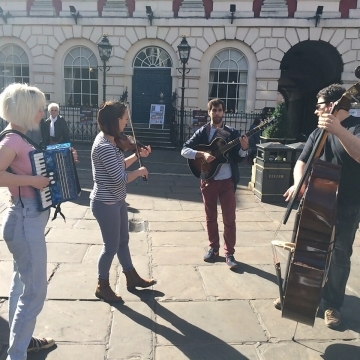 The production subsequently transferred to Greenwich Theatre, London in 2013 where DumbWise were made Associate Artists. 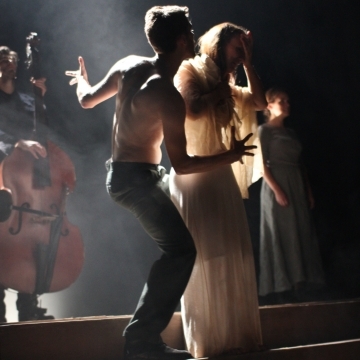 FAUST was re-made for a national tour in 2014.